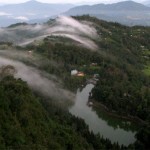 Places to see in Aritar: Aritar is famous for its Lampokhari Lake. 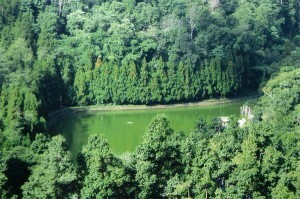 This vast natural lake shaped in the form of human foot is flanked by emerald green forest. The lake is ideal to enjoy paddle boating. There is also a cafeteria beside the lake. A well-maintained jungle path with view points and gazebos skirts through the jungle and climbs up to the Aritar Top, also called Mankhim from where you can catch a panoramic view of Mt. Kanchenjungha. You can also visit the nearby Aritar Monastery, which houses some remarkable painted murals, rare manuscripts and Buddhist artifacts. The Dak Bungalow popularly called Ari-Bangla is an age-old British bungalow, built under the supervision of James Claude White in 1896. Of late, the bungalow has been transformed into a guesthouse for tourists. This temple of Mangkhim, belonging to the Rai cult of Hindu origin is located at an altitude of 6500 feet at Maity Village overlooking the Aritar. The viewpoint near the temple offers a panoramic view of the mighty Eastern Himalayas, Aritar town, rolling hills and the Silk Route. You can also visit the Ever Green Nursery and Ram Gauri Sangrhalaya, which is a nursery and museum, displaying some stunning collection of drift wood, botanical and some exotic varieties of flowers. Nearby attractions around Aritar: You can visit nearby Reshikhola, Icchey Gaon, Sillery Gaon and Pedong in West Bengal from Aritar. Some other nearby attractions are villages that used to fall on the Old Silk Route like Kupup Lake, Menmecho lake, Nathang, Padamchen, Zuluk and Lungthung. If you are an adventure lover then a trek to Mulkarkha Lake can be rewarding. 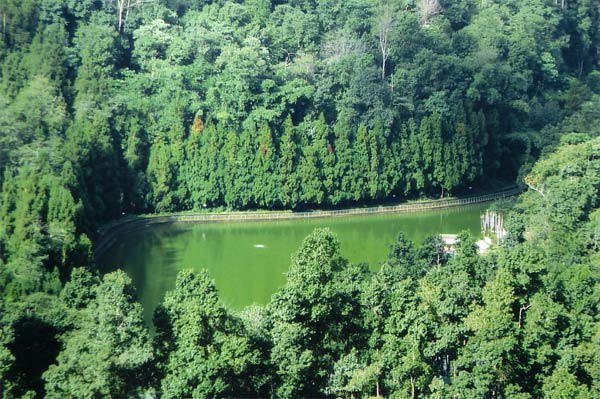 You need to travel few kilometers uphill to locate this lake in an isolated forest area. Savor the beauty of the surrounding area of the lake adorned with jungle of exotic orchids and colossal mountains. On a clear day, you can see the reflection of Mt. Kanchenjungha on the placid waters of the Mulkarkha Lake. Things to do in Aritar: You can organize picnics at the popular picnic spot called Love Dara. The place is also ideal for the avid bird watchers. You can also enjoy boating in the Lampokhari Lake, trekking to nearby hilltops, enjoying village walks and nature walking. How to reach Aritar: The nearest airport of Aritar is located at Bagdogra, from where you can hire car and drive for 4-5 hours to reach Aritar. The closest railway station of the location is at New Jalpaiguri, which is well facilitated by trains from all parts of the country. You can also hire vehicles from Siliguri and reach Aritar in 5 hours. 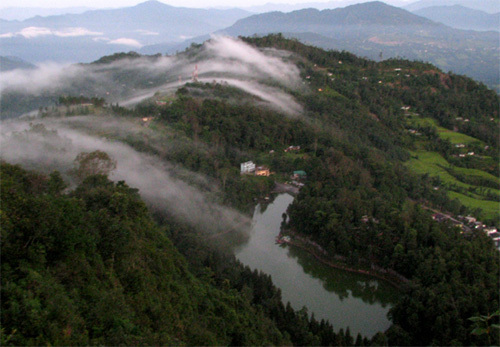 Many tourists also hire vehicles and make tour to Aritar from Gangtok in roughly 3 hours. 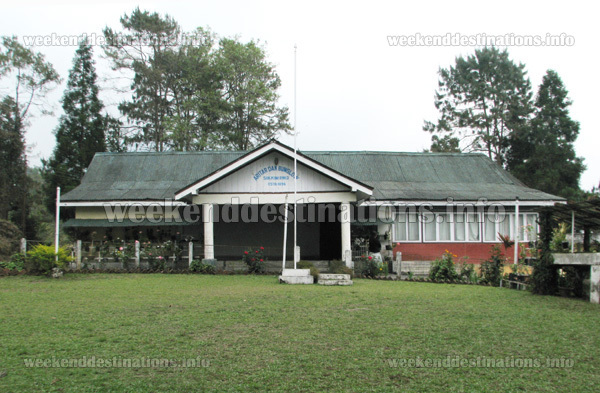 If you are coming from Kalimpong, then the route would be Kalimpong – Pedong – Reshikhola – Aritar. If you are coming from Sikkim, then the shortest route would be Rangpo – Rorathang – Rhenock – Aritar. Best time to visit Aritar: You can visit Aritar any time of the year. The rains shroud Aritar with greenery and clouds whereas in winters, you can get a great panoramic view of Mt. Kanchenjungha. Lodging and dining facilities in Aritar: There are some hotels and homestays in Aritar but the best place to stay is the Aritar Dak Bungalow. Decked with period furniture, fireplaces in every room, wall to wall carpets, extra large couches and English glass windows, this 120 year-old British heritage bungalow is a true gem of Sikkim. Recently renovated, the Aritar Dak Bungalow is located amidst sprawling lawns and gardens with great views of the rolling mountains. There are three Master bedrooms (triple bed) with attached bathrooms, a huge sitting room and a dining hall in the bungalow. Staying in the Aritar bungalow is like re-visiting the days of the Raaj. The staff at the bungalow prepares great food for the guests, which is essentially Indian cuisine. Photographs by Debkinkar Baidya and others.